Samsung is ready to dispatch its latest edition of the Samsung Galaxy J7 flagship in the United States where various telecommunication companies will be picking it up. It has been confirmed that the Samsung Galaxy J7 2017 will be dubbed and released as the Samsung Galaxy J7 V, at Verizon. However, the exact release date is unknown as of yet. Moreover, Samsung has yet to officially announce the release date of the device. Nevertheless, fans can be assured that the latest edition of the flagship will release in the coming weeks. The Samsung Galaxy J7 2017 edition comes after the success the Samsung Galaxy J7 2016 edition saw major success late last year. The specifications of the latest device as of yet are unknown, however, we can take a hint and an indication of what to expect when comparing to the older version of the device. The Samsung Galaxy J7 2016 was released in May 2016. That device highlighted a 5.5-inch HD Super AMOLED touchscreen with 720 x 1280 pixel resolution. In addition, it accompanied 2GB RAM and a 16GB memory variant and was controlled by a 1.6GHz octa-core processor. 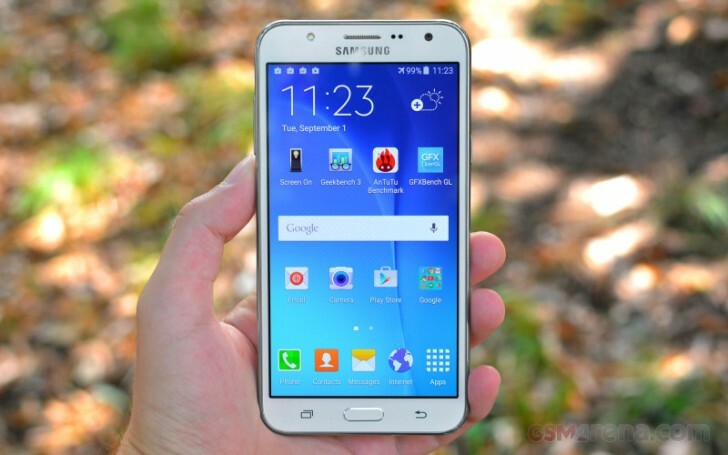 Samsung Galaxy J7 highlighted a 13MP back camera with a f/1.9 aperture, Auto Focus and LED streak. The back camera bolstered FHD (1920 x 1080) video recording at 30fps. The front camera was 5MP with a f/1.9 aperture. Samsung Galaxy J7 2016 had a removable 3,300mAh Lithium-Ion battery. In addition, the sensor’s aspect of the Samsung Galaxy J7 2016 incorporated an accelerometer, hall sensor and proximity sensor. In addition, the dimension of the Samsung Galaxy J7 2016 was 151.7 x 76.0 x 7.8 mm. Therefore, it is safe to assume Samsung will go down a similar road with their latest edition of the device, with much more higher end capabilities.